Wenham, MA – If you’re interested in time travel and Hollywood, a trip to the local Wenham Museum should suffice. 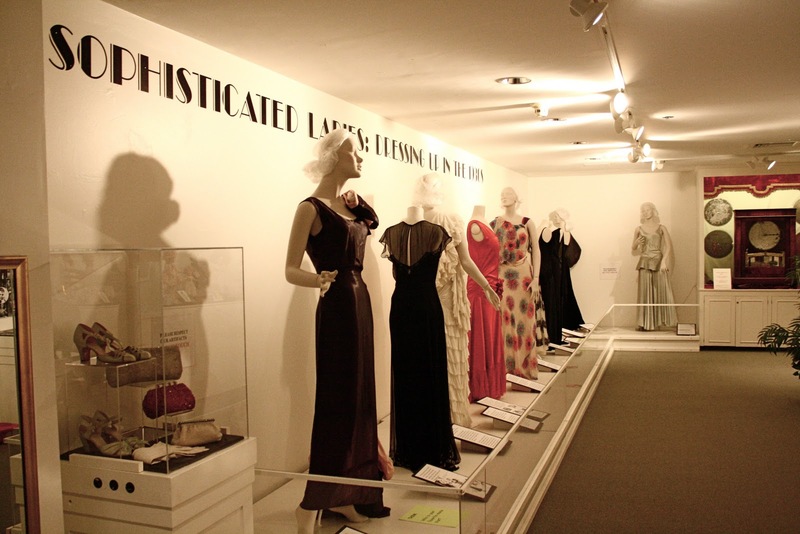 The fashionable dresses of the 1930s—those years of sophistication and style when Hollywood movies, actors and actresses rose in popularity—are currently on display at the Wenham Museum until March 13. The exhibit features ten graceful dresses and is appropriately titled “Sophisticated Ladies: Dressing up in the 1930s.” On Sunday, March 13, from 1- 2 p.m., the Museum will also host “Victorian Lady” with professional performing artist Kandie Carle. Carle will showcase the sophisticated and simple style of the 1930s by dressing in genuine, authentic vintage clothing and accessories, and sharing humor, history and stories from the era. Cost is $10 to $16 for admission and refreshments. Though the dresses in the exhibit are of different colors and designs, each reflects the familiar look of the slender and simple style of the time. “Instead of depending on surface decoration and lots of ‘gewgaws’ for their effect, they make their statement with cut – famously the bias cut,” said Jerrett. For those who might be unfamiliar with the bias cut, Jerrett explained that the cut runs diagonal to the grain of the fabric. It lends a fluid, body-hugging quality to the cloth. Although modern dress may not have the elegance it once did, Jerrett believes it may come back around, as style often does. During the time of the Great Depression—between the stock market crash of 1929 and World War II in 1939—the progression of fashion did not halt. That’s because fashion is an ever-developing industry that does not stop in even the most trying of circumstances, according to Jerrett. Four black dresses dispersed throughout the display show that color is not everything. Standing classy and slim, the dresses seem quite unforgiving, specifically for those who must have been watching their figures. Contrasting the black dresses stands a ruffled, ivory gown, barebacked and much livelier than the manikin wearing it. Beside it, a red dress stands out from the others, not only because of its vibrancy, but it also because of its fabric flowers, which are reappearing on today’s dresses. “We no longer have the simplicity that those dresses do,” said Capel.